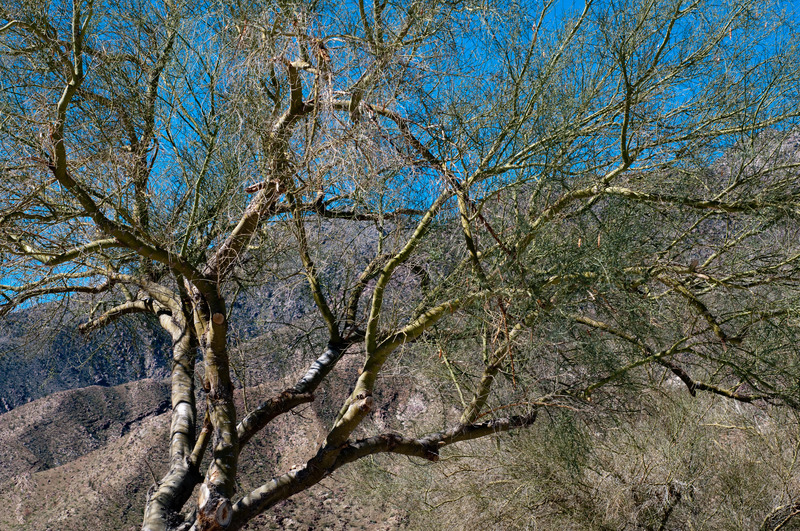 The yellow palo verde is native to the Sonoran Desert. 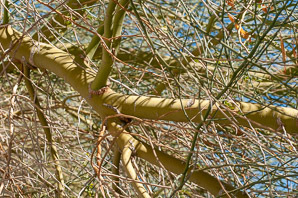 Although it typically looses its leaves in the punishing summer heat, its trunk and branches are photosynthetic. It also has deep roots so it can reach any available water. 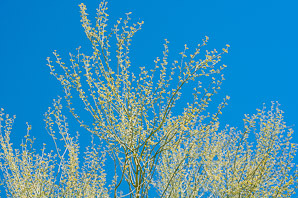 Identification: The most notable difference between this palo verde and blue palo verde is the trunk and branch color. 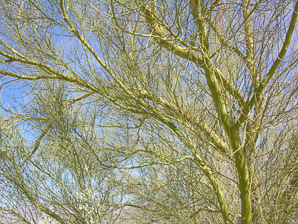 Foothills palo verde is yellow-green, vs. a bluish cast to blue palo verde. 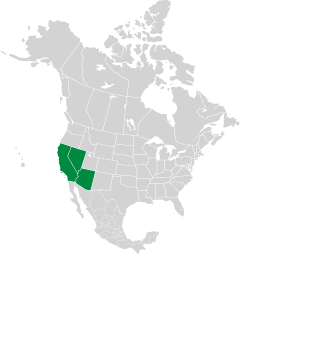 Plant 15-30' (4.6-9.1 m). 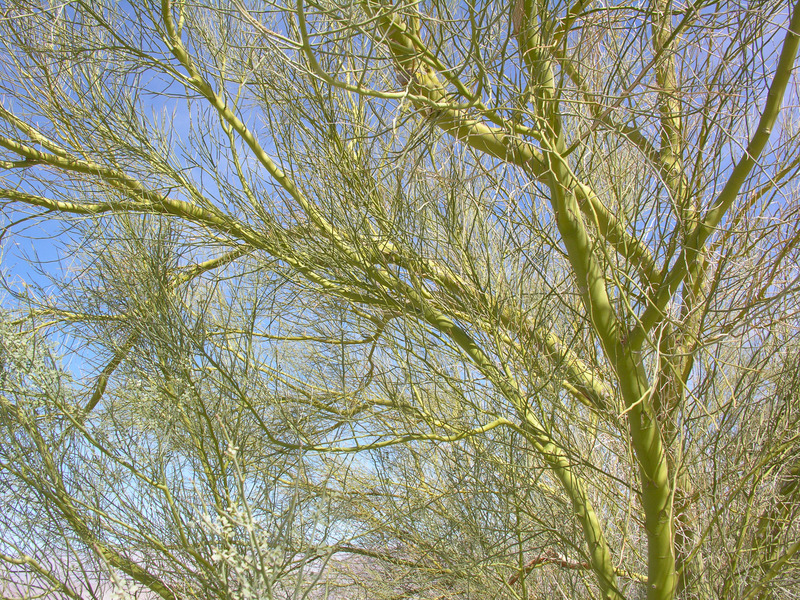 Trunk and branches are bluish green, photosynthetic. 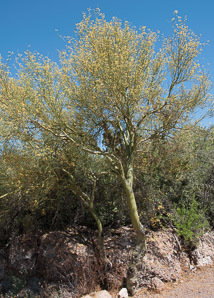 10-20' (3-6.1 m) high, and about the same around. 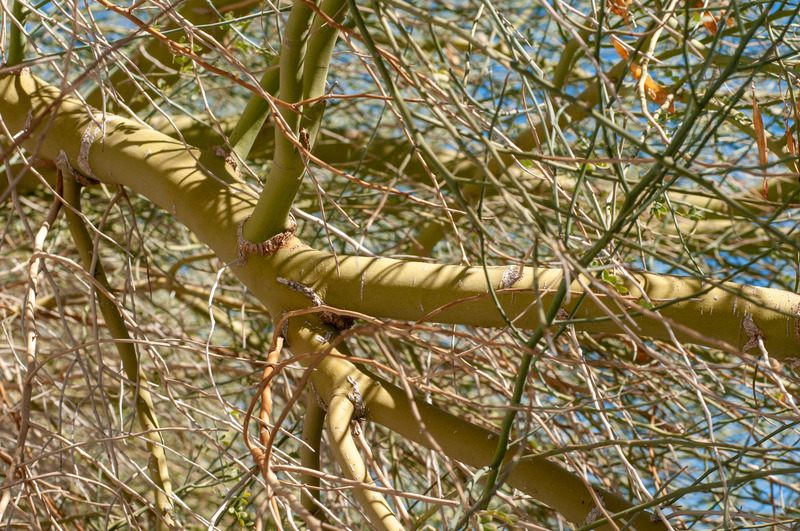 Bark is smooth and yellow-green in color. 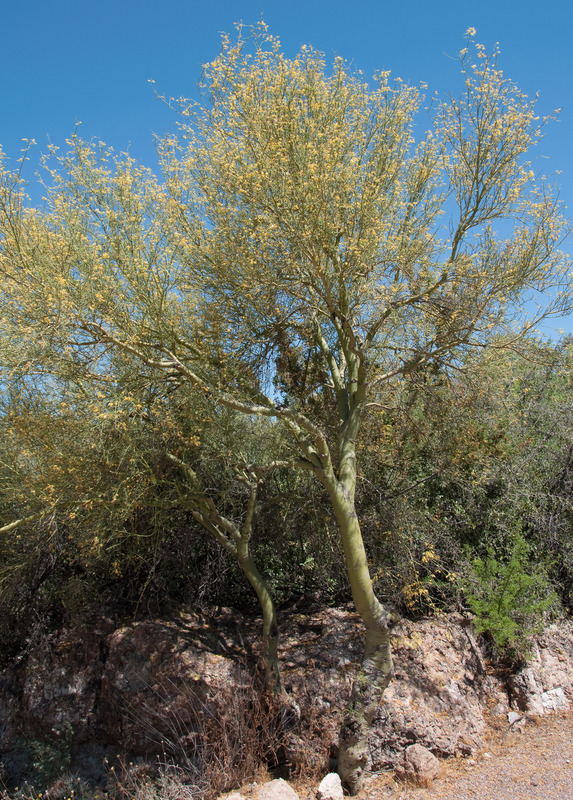 Bright yellow, blooming earlier than foothills palo verde. Photo by Stan Shebs. Yellow. Photo by aspidoscelis (Flickr). 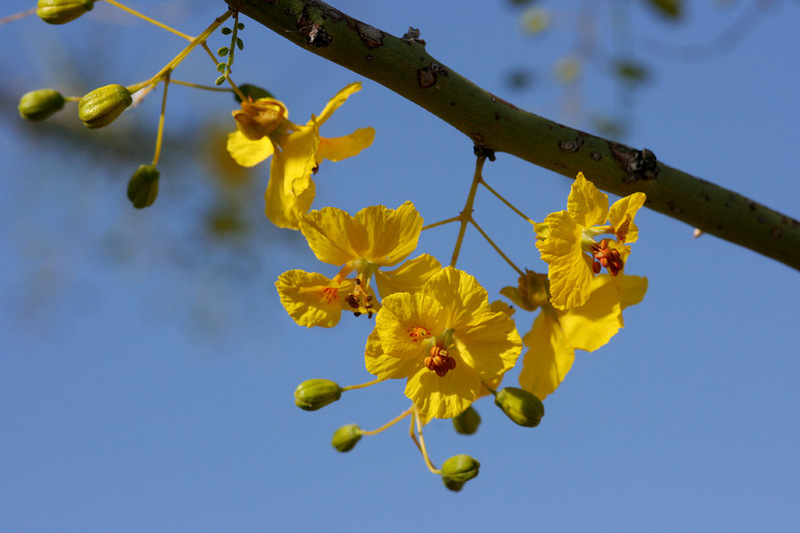 Leaves Bipinnate, with leaflets ⅛-¼" (3.2-6.3 mm) long; often leafless. In small pinnate stalks up to 1" (2.5 cm), containing a row of tiny, round leaflets. Dropped entirely during droughts. Fruit A flat pod with one or more seeds, brown, turning white with age, up to 3" (7.6 cm) long. 2-3" (5-7.6 cm) seed pods contain up to five seeds. 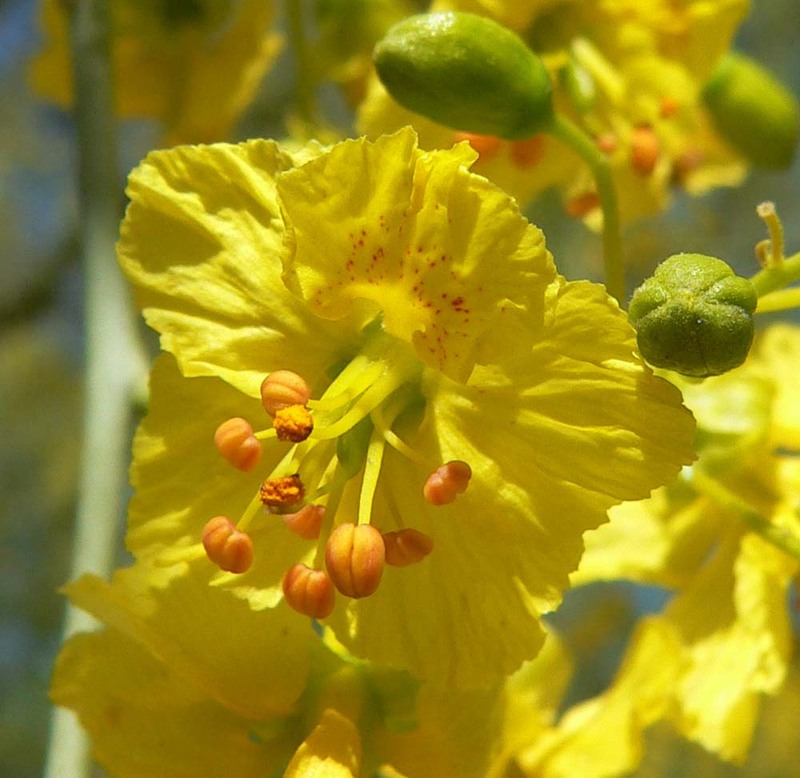 Parkinsonia microphylla description by Thomas H. Kent, last updated 12 Oct 2018.